Since 1954, Luxaire® has been recognized for its uncompromising approach to quality and unmistakable attention to detail. The latest advancements in quiet technology, energy efficiency and lasting dependability make Luxaire® an intelligent choice that delivers optimal comfort and exceptional value. With Luxaire®, you're not only making a smart choice, you're making a difference. A percentage of your purchase is contributed to the "Make a Wish" chapter in your community. Luxaire® comfort is more than just feeling good. You can feel good about it. 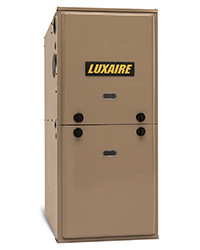 Luxaire® furnaces provide quality and dependability you can trust for cozy comfort in cold weather. Our broad lineup of high efficiency furnace systems is built to fit any budget or need. Nearly half of Luxaire® air conditioners, heat pumps and furnaces are built to proudly display the ENERGY STAR™ label. Plus we are backed by some of the best warranties in the industry. Luxaire® also offers a complete range of indoor air quality equipment and programmable thermostats to ensure a healthy, comfortable and energy efficient home environment. Luxaire® air conditioning units provide the quality and dependability you need to keep cool, no matter how hot it gets outside. Our broad lineup of energy efficient air conditioners makes it easy to satisfy your budget and comfort level. 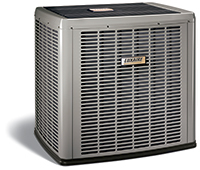 Luxaire® heat pumps deliver four-season comfort in one convenient unit. 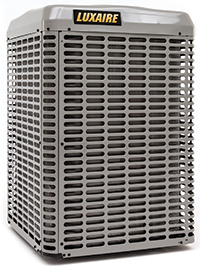 Our broad lineup is built to provide heat pump efficiency for any price point and performance level. Luxaire® mini-split systems fit more comfort into more places with our space-saving ductless design. They're the perfect solution for homes without ductwork and room additions or remodels. Plus we are backed by some of the best warranties in the industry. 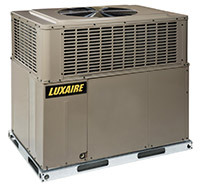 Luxaire® packaged heating and cooling systems put efficiency and economy in one self-contained outdoor unit. Look to our vast lineup of efficient heating and cooling units to fit your price and performance needs. Plus we are backed by some of the best warranties in the industry. Call 216-245-0355 To Schedule An Appointment Today!